Being out of town for so long with limited access to a washer doesn’t mean that you’ll be in a style pinch! If you’re headed on month-long European winter getaway, there are a few essentials that you’ll want to make sure you have in your suitcase. Here’s what to pack for a Europe trip in the winter. A staple for any fall wardrobe, your favorite sweaters will also be a major part of your seasonal wardrobe while on vacation. Layer your chunky knits over a long-sleeved tee so you can peel off the warmer layer if you get overheated from walking. Combat the winter chill (and possible snow) with a coat that will layer nicely over every ensemble in your suitcase. Opt for a puffer coat or anorak jacket that’s waterproof, so you can still sightsee on drizzly days. Stylist tip: If you’re headed out on a long trip and want to pack less and wash more, bring along a Ziploc baggie of laundry detergent. Pour it into the tub or sink when you’re ready to wash your duds! 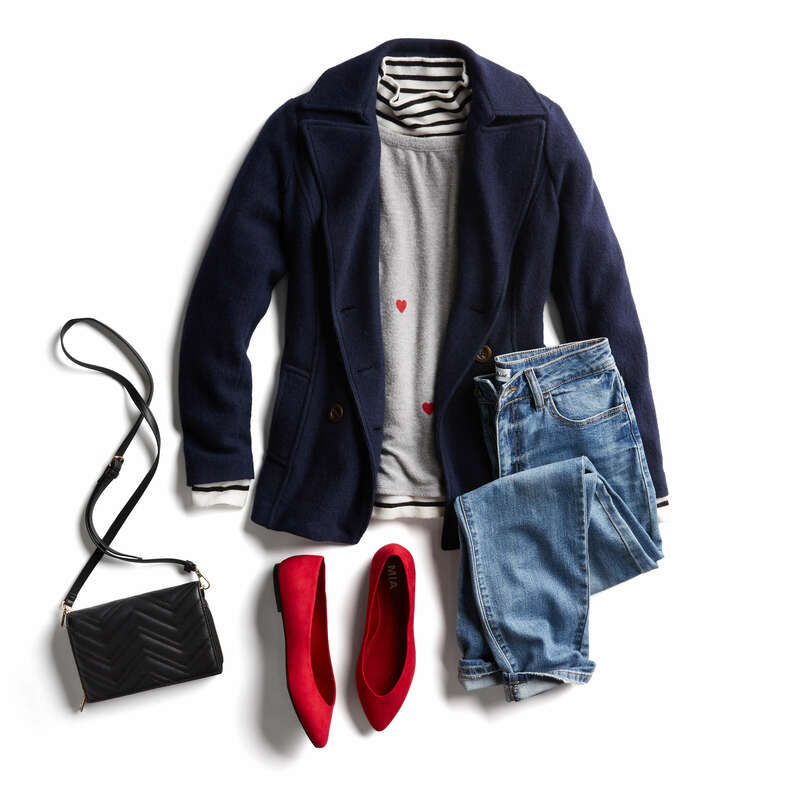 Opt for some fleece leggings to keep comfortable and cozy, and colored corduroy denim to make a statement with textures. Bonus tip: your favorite jeans and leggings can be worn 3-5 times without needing a wash, allowing maximum usage and freeing space in your suitcase. Fashion sneakers will keep you comfortable and on-trend with all the walking you’ll be doing. Also bring along some boots for those cooler days—don’t forget your warmest socks for pairing with these options! Cross-body bags are easy to travel with, and the backpack look is making a comeback. Carry a cross-body book bag for an option that’s fun and functional. Heading out on a European vacation? Schedule a Fix and let us know what your Euro trip needs!